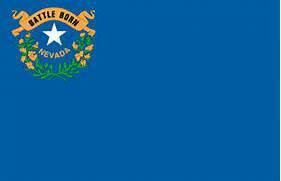 On January 6, 2014, Governor Brian Sandoval signed a proclamation declaring 2014 as the Year of the Veteran in Nevada. Historically, in 1864, President Lincoln, in his second inaugural address affirmed the nation’s commitment to serving its veterans and their families. This took place just months after Nevada became a state, and the “Battle-Born” State, as it is known, has continued to do its part ever since. Home to Nellis Air Force Base, Naval Air Station Fallon, Hawthorne Army Depot and Creech Air Force Base, the military has been well represented in the Silver State. Issues of tremendous concern are making their way to the forefront where veterans are concerned. The baby-boom generation of vets is experiencing health and economic issues as they join the ranks of the aging population. And, vets returning from multiple deployments in today’s conflicts are dealing with financial and emotional issues as well as physical disabilities. 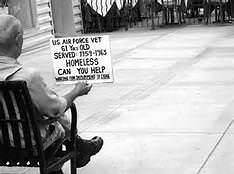 Statistics show an alarming percentage of homeless vets in the nation, and Nevada too has its share, especially concentrated in the south of the state. This is an issue that is beginning to be addressed. These vets need not only housing but intensive health services to be able to transition to civilian daily life. Meanwhile, we are helping to do our part to assist the general veteran population over 55 with lower incomes, offering them not only a place to live with state of the art comforts, but supportive services that are tailored to seniors’ health, nutritional, employment and financial issues. Through our non-profit partner, Silver State Housing, these services are put on each property’s monthly calendar. We also help seniors on a one-on-one basis, our service coordinator helping with referrals to agencies that specialize in services for veterans, including VASH (Veteran Affairs Supportive Housing), and VetSuccess, a program that helps connect the disabled to prepare for, find and keep suitable employments, with on-the-job training and counseling.